Polish writer of Hungarian origin, journalist. He graduated with a degree in Polish language studies from the University of Warsaw. Together with Paweł Dunin-Wąsowicz he created in 1995 its own dictionary Parnas bis. Literatura polska urodzona po 1960 roku (Polish literature born after 1960). then, again with Paweł Dunin-Wąsowicz and with Jarosław Klejnocki, he published an anthology of new poems Macie swoich poetów (You Have Your Own Poets). His debut collection of short stories was Pijany anioł na skrzyżowaniu ulic (The Drunken Angel at the Crossroads). 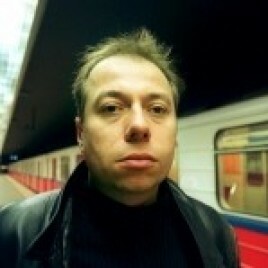 He has published the following books: Chłopaki nie płaczą (Boys Don’t Cry, 1996), Bildungsroman (1997), Śmiertelność (Mortality, 1998), Tequila (2001) Karolina (2003) and Nagrobek z lastryko (Terazzo Tombstone, 2007), Gulasz z turula (Turul Goulash, 2009), and Aleja Niepodległości (Independence Avenue, 2010). Varga has developed a very characteristic melancholic style. The subject matter which he returns to time and time again is death and the deterioration of the body. Tequila is a tragic-comic monologue by a narrator who cries out in the cemetery over the casket he is carrying, containing his friend who was also the drummer of the band which the narrator leads. It is a moving soliloquy about friendship, music, the modern world, the passage of time and death, and has been adapted for the stage at the Teatr Wybrzeże in June of 2003, and was nominated for the NIKE award 2002. The talked-about Turul Goulash is a highly personal collection of essays about Hungary, and an exploration of the author’s Magyar roots. It is written in unpretentious, light, intelligent prose. It was hailed by readers – the book received the NIKE readers’ award in 2009, and was among the finalists of the Angelus Central European Literary Award, and in the finale of the second edition of the Cogito Public Media Awards. At the Conrad Festival he will conduct a meeting entitled: “Pępek Europy” (“The Hub of Europe”) in the National Museum, 6th November (Saturday), at 7 p.m. The day before, he will be a guest of the Book Discussion Clubs (C.K. Norwid Library, Os. Górali 5).